Are you looking for a unique date night? Something different than the typical dinner and a movie? 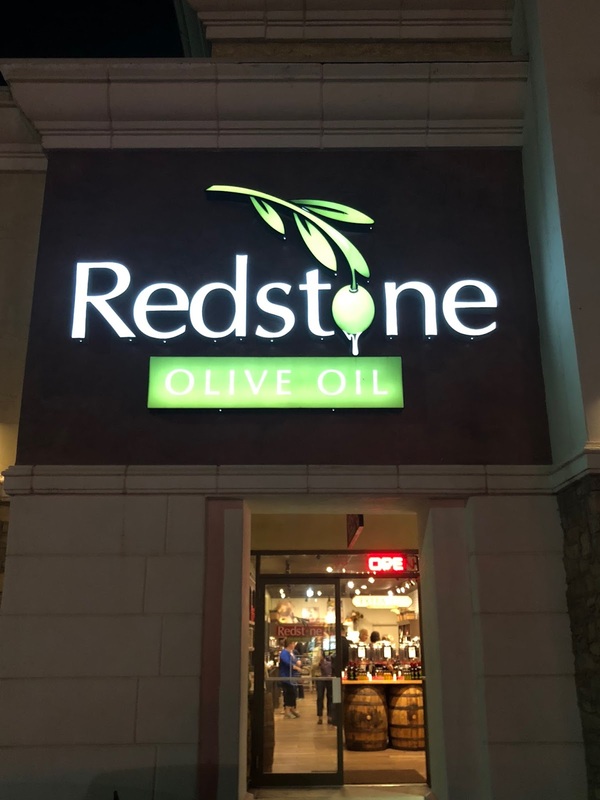 Redstone Olive Oil has the perfect date night for you! 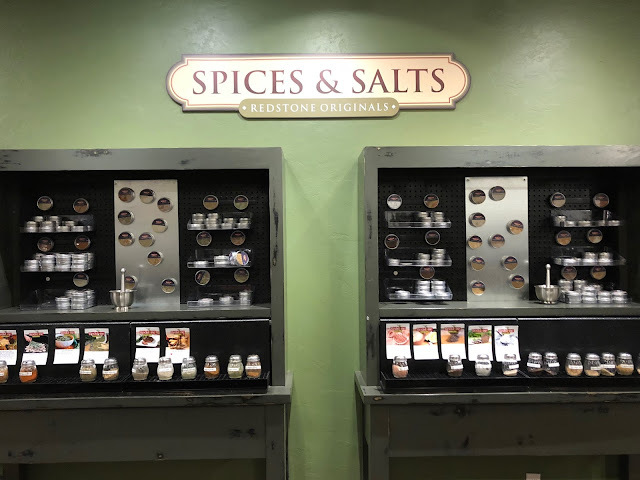 Each month they have taste testing events as part of their Tour de Flavor. Each month they will prepare dishes from different parts of the world using their high quality olive oil and balsamics. 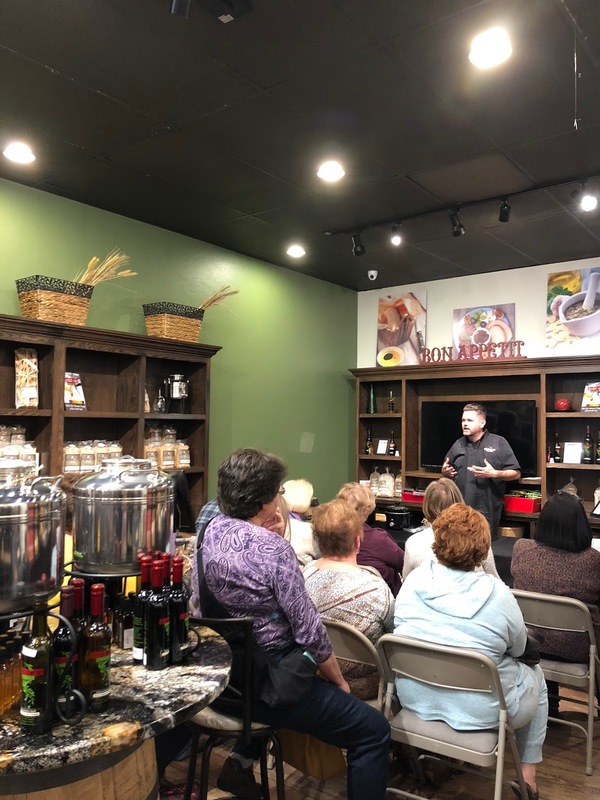 I was invited to attend their Mexican taste testing night in February! They start their taste testing event by explaining their olive oil and balsamics. They explain how healthy they are and how they are made. They also answer any questions. After the discussion it's time to taste the food! When I went they made the most amazing chicken tacos with their olive oil. They also made a salad and queso. Sooo good! They ended the night with small portions of ice cream. 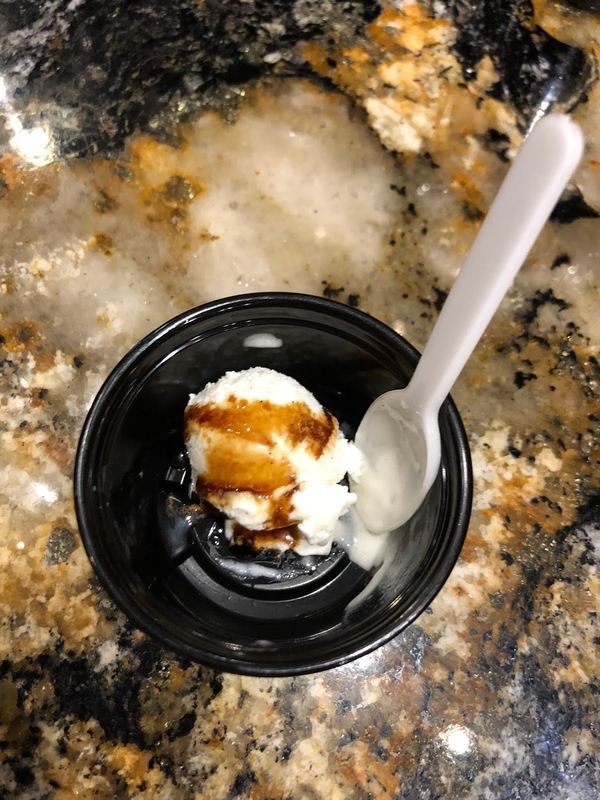 We were able to choose whatever balsamic we wanted to put on the ice cream. I tried raspberry. It was surprisingly good! I would never have thought to put flavored balsamic on ice cream but it was great! It was about an hour and a half long and was so much fun to do something different for date night. 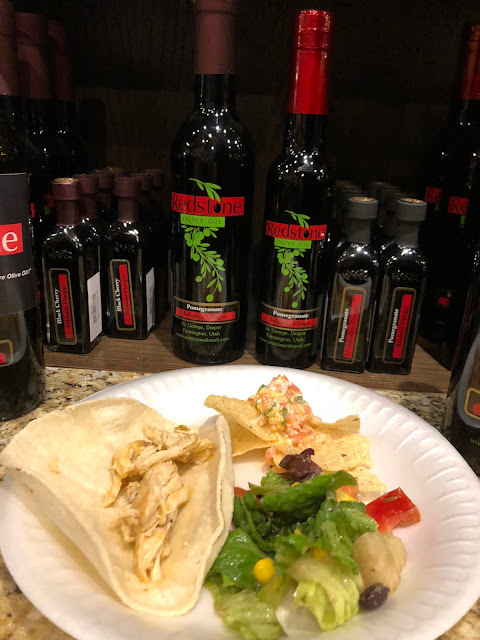 If you attend one of their taste testing events you get a discount on your purchase that night so of course we had to buy a couple of the olive oils. I really loved the taste of all of their oils and balsamics! 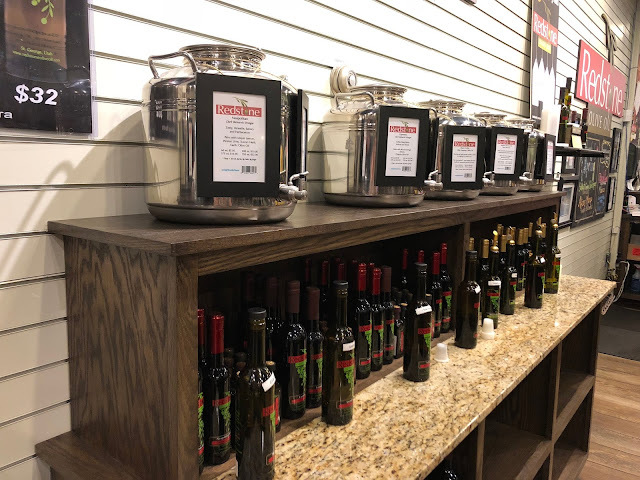 I was surprised to see how many different flavors of olive oil and balsamic vinegars they have. There were lots of fruit flavors including blueberry and dark cherry. They also had a dark chocolate balsamic! Their olive oils also come in a variety of flavors including butter, garlic and basil. This sounds like a lot of fun. What a great, unique date night. I will have to try it.